To Use On Today's Order. 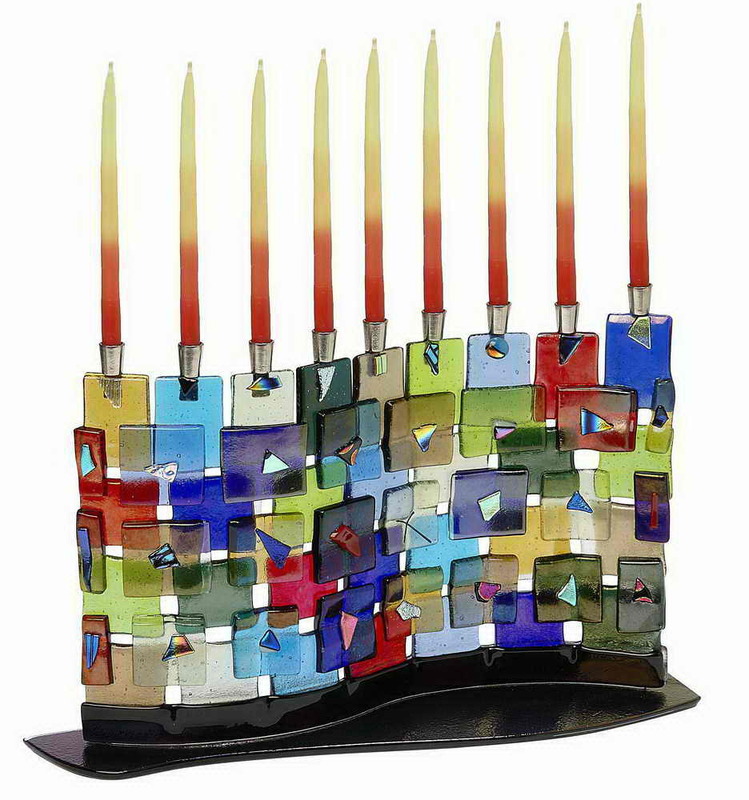 This Menorah Is Handcrafted With Fused Glass By The Tamara Baskin Art Glass Studio. It Depicts The Artist's Impression Of The Western Wall. Each Menorah Is Handcrafted And A One Of A Kind. The Menorah Measures 9" X 13". We Have Many Of Tamara Baskin's Designs In Stock. At Times This Specific Item May Be Out Of Stock, Which Is Not Indicated On Our Website. When Out Of Stock, Delivery Can Take 1-2 Week. Please Contact Us If You Need This For A Specific Date. The Artist May Be Able To Accommodate A Rush Order. What Is Hanukkah And Why Do We Light A Menorah? Menorahs Hold A Very Special Arrangement Of Nine Menorah Candles. Eight Of The Candles Are For Each Night Of Chanukah, And The Highest Candle, Known As The Shamash Or "Servant", Is Used To Light The Other Menorah Candles. Some Modern Followers Of The Jewish Religion Have Turned To Electric Menorahs, Which Use Light Bulbs Instead Of Candles, For Decoration Purposes. Menorahs Play An Important Symbolic Role In The Celebration Of Chanukah. Over 2300 Years Ago In A Country Called Judea (Israel) There Lived Many Hebrew, Or Jewish People. There Also Lived A Very Wicked King, Antiochus, Who Ordered All The Jewish People To Give Up Their God, Religion, And Customs And Worship Only The Greek Gods. Jewish Temples Were Destroyed Or Used For His Purposes And Those Followers Who Would Not Worship How He Commanded Were Severely Punished. After Years And Many Battles The Maccabees, Who Were Fighting For The Right Of Judaism, Overthrew The Wicked King And Took Back Their Temple. (Remember Chanukah/Hanukkah Means "Rededication.") Upon Finding Oil To Light The Lamps, They Realized There Was Only Enough To Light The Lamps For One Night. That Oil Miraculously Lasted Eight Nights! This Is Why The Menorah Has Eight Candles. Each Of The Menorah Candles Represents A Night That The Oil Kept The Lights Of The Holy Temple Burning. On The First Night Of Hanukkah One Candle Is Lit And This Continues For Eight Days Until All Eight Candles Are Shining Brightly. Menorahs Remind People Of The Miracle That Happened. Long Ago Olive Oil Was Used, But Over The Years Colorful Jewish Hanukkah Candles Have Been Substituted. In Israel, Menorahs Are Called Hanukiyahs. They Come In All Shapes And Sizes And Resemble The One Found In the Holy Temple. The Right Hanukkah Menorah Can Be A Family Heirloom That Survives Generations. 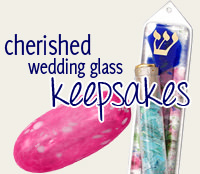 Traditions Jewish Gifts Offers A Wide Selection, In Many Of The Popular Styles Including, Metal, Electric, Hand Made, For Kids And Battery Operated Menorahs. How Do I Light A Menorah? On Each Night Of Hanukkah You Start By Lighting The Shamash Candle, Which Is Always At A Different Height Than The Other Eight Candles On The Menorah. On The First Night Of Hanukkah You Take The Lit Shamash And You Light The First Candle On The Far Right Of The Menorah. On The Second Night You Place Two Candles On The Far Right Of The Menorah. Once You Light The Shamus You Will Light The Menorah From The Candle Closest To The Left And Then The Candle To The Right Of It That You Lit The Night Before. Each Night An Additional Light Is Added To The Left Of The Light Which Had Been Lit On The Previous Night. Candles Are Always Added From Right To Left, But The Actual Lighting Of The Candles Is Done From Left To Right. Sound A Bit Confusing? Take A Look At Our Video For A Better Understanding. What Blessings Are Said When I Light The Menorah? On The First Night Of Hanukkah You Recite The Following Three Blessings Before Lighting The Menorah. On The Second Night And All Subsequent Nights After You Only Say The First Two Blessings. In Hebrew - Baruch Atah Adonai Eloheinu Melech Haolam, Asher Kidshanu B’mitzvotav V’tzivanu L’hadlik Ner Shel Hanukkah. In English - Blessed Are You, O Lord Our God, Ruler Of The Universe, Who Has Sanctified Us With Your Commandments And Commanded Us To Kindle The Lights Of Hanukkah. In Hebrew - Baruch Atah Adonai Eloheinu Melech Haolam, She’asah Nisim L’avoteinu, B’yamim Haheim Bazman Hazeh. In English - Blessed Are You, O Lord Our God, Ruler Of The Universe, Who Made Miracles For Our Forefathers In Those Days At This Time. In Hebrew - Baruch Atah Adonai Eloheinu Melech Haolam, Shehekheyanu, V’kiyamanu Vehegianu Lazman Hazeh. In English - Blessed Are You, O Lord Our God, Ruler Of The Universe, Who Has Kept Us Alive, Sustained Us And Brought Us To This Season. © 2016 TraditionsJewishGifts.com, All Rights Reserved.